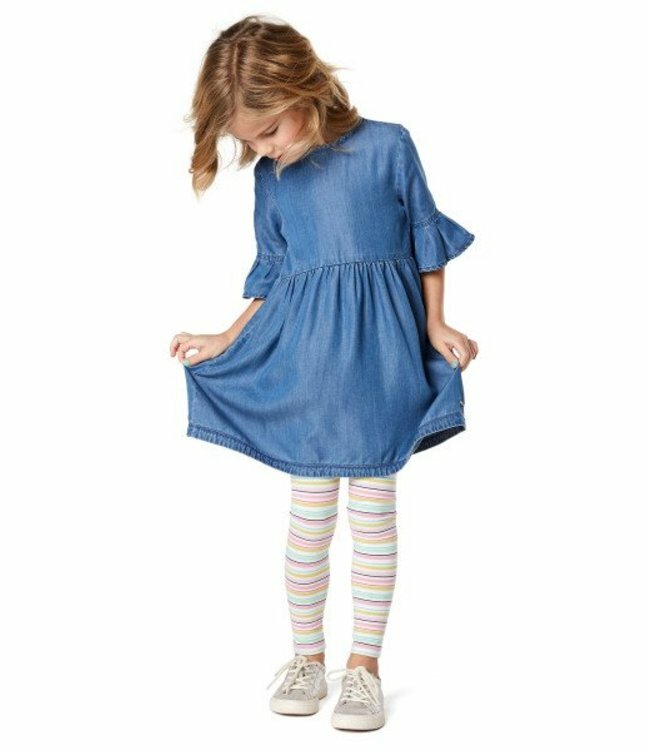 Noppies Chambray Dress - Refinery Clothing Co. The Dress is made of supple denim. The A-line style comes in a light wash and has short sleeves with ruffles. In addition, the dress has a round neckline with a zipper fastening in the back.